MILWAUKEE _ Faculty in the Helen Bader School of Social Welfare at the University of Wisconsin-Milwaukee have elected David Pate to serve as chair of the school’s department of social work. “David Pate has the experience and knowledge to lead the social work department as it shapes its curriculum to reflect the needs of students and the communities they will serve,” said Stan Stojkovic, dean of the Helen Bader School of Social Welfare. Pate, an associate professor at the school, assumed chairman responsibilities Aug. 1. David Pate assumed the role of chairman in the department of social work on August 1, 2018. “I hope to continue the momentum of my predecessors,” said Pate, “increasing our presence in the community and sharing our research skills to illuminate the challenges and successes of the citizens of Milwaukee, the U.S. and abroad. Entering higher education after 16 years as a social worker, Pate has distinguished himself as a keen observer and compassionate chronicler of the life course of African-American men in Milwaukee and throughout the U.S. In essays and journal articles, he has written about the toxic levels of stress that young, underemployed black men living in disenfranchised neighborhoods experience and the effects that lingering, unmitigated stress can have on them as fathers, earners and community members. Pate’s research fosters deep connections with public agencies and nonprofits across southeastern Wisconsin. These include a five-year assessment of the work done by the Milwaukee Office of Violence Prevention, specifically the ReCAST project, to reduce violence and increase access to mental health for city residents. This fall, he’ll begin a series of focus groups with fathers seeking support and service through fatherhood programs in Milwaukee. Supporting black men as fathers is a particular focus of Pate. He served as a social scientist on a team that supported the submission of two amicus briefings in support of the defendant in the 2011 Supreme Court case Turner v. Rogers. The case prompted a national discussion about how low-income noncustodial parents are far more likely to serve prison time for falling behind on child-support payments than are fathers of moderate income levels – those so called “deadbeat dads” who have the financial means to pay child support but do not. 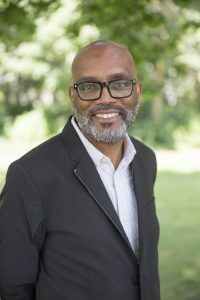 Pate is an elected member of the National Academy of Social Insurance and is an affiliated faculty member in the Department of African and African Diaspora Studies and the Institute for Child & Family Well-Being, both at UWM. He will be awarded the 2018 Distinguished Undergraduate Teaching Award from UWM this fall. Pate also is an affiliated faculty researcher with the Institute for Research on Poverty at UW-Madison. Pate holds a doctorate in social welfare from the University of Wisconsin-Madison, a master’s in social work from the University of Chicago School of Social Service Administration and a bachelor’s degree from the University of Detroit.